Did you know that Underwood’s has a Custom Design Department? If you’re tired of browsing through jewelry shop after jewelry shop looking for that perfect ring, pendant, or pair of earrings with no luck, then Underwood’s should be your next stop. With so many different metals, gems, and current styles it’s hard to find a piece that has everything you want. Maybe you want something with a vintage look or a not-so-traditional design. Underwood’s will take the time to design a one of a kind piece of the highest quality just for you or someone special. 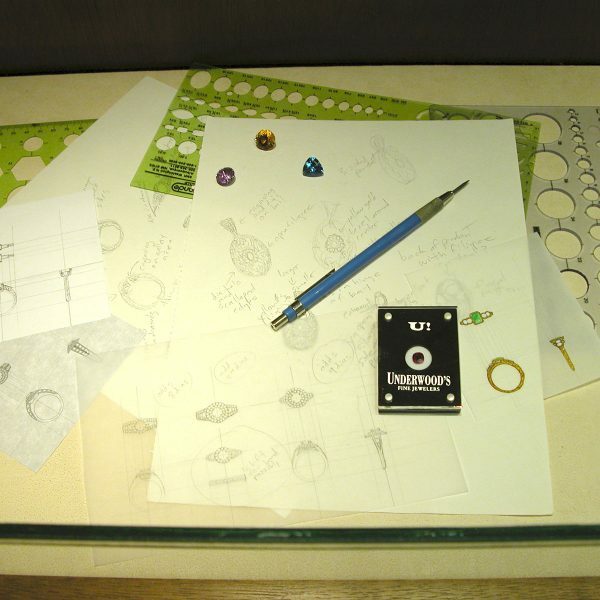 We have a full time professional designer on staff, as well as three professional goldsmiths who can create beautiful pieces designed specifically for you. 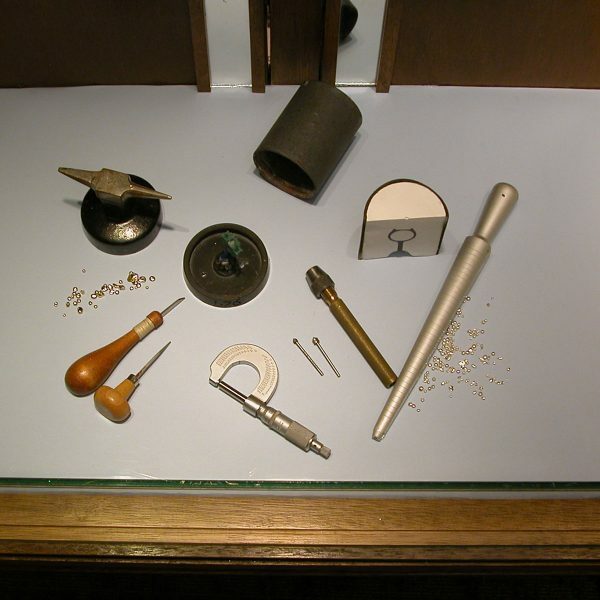 Underwood’s is the only jewelry store in the United States to have two Certified Master Bench Jewelers on staff. This level of education and expertise goes far beyond what any other store can offer. We’re the very best at what we do. Our designer takes into account your desires and draws designs that flatter your unique look. First, you’ll meet and discuss what design elements you would like to see in the finished project. Then, for no additional cost, the designers will develop an artist rendering in full color and actual size. You’ll also receive a cost estimate should you decide that you like the design. Once approved, you’ll pay a deposit and our design team will begin to bring your customized design to life. Our goldsmiths meticulously mold and sculpt the metal from its raw stage to the finished product with the utmost attention to detail. By controlling the design from concept to completion, Underwood’s can ensure that the quality and artistry of each finished piece rises to exacting standards. Nothing leaves the custom shop until it receives the Underwood’s personal seal of approval. 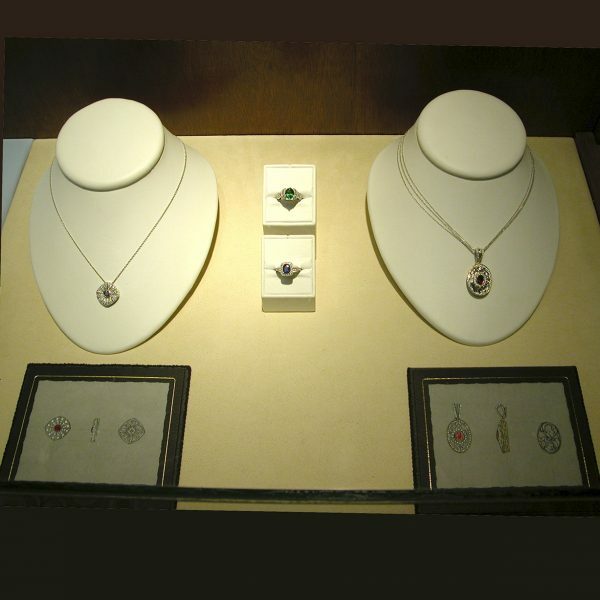 No gemstone or piece of jewelry is exempt from these high level, quality control standards. Then, and only then, is a piece stamped with the Underwood name. Our custom process also encompasses a few other things. We can reset your own gemstones or combine them with our own stones to make something new. In addition, we can take an existing piece or pieces from the cases and redesign or remake them into something that reflects your individual taste. That way you get to choose the pieces and parts to makes something unique, since every gem is one-of-a-kind.